Rory Gallagher Dublin National Stadium Dublin 29th January 1978, another unseen images from all those years back, original is an Kodak Ektachrome slide I have recently cleaned up. 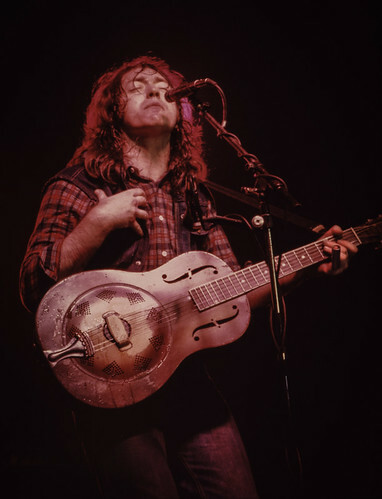 The guitar is a Resonator made in 1932, you can see Rory's sweat on the guitar. Massive following in Ireland and throughout Europe.